Seeing what others can't is what Steiner is all about. Razor-edge clarity, optimum depth and color, superior ability to probe, plan, and engage with incredible impact. After years of consistent improvement, Steiner serves your mission and your military forces better. 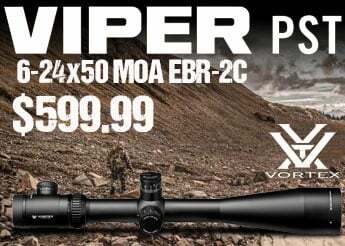 The Military series of riflescopes from Steiner features world class optics and engineering. Built to the specific needs of the military, these scopes are ideal for snipers using M10 platform or competition shooters with precision bolt guns. Steiner makes trusted optics for life's defining moments. 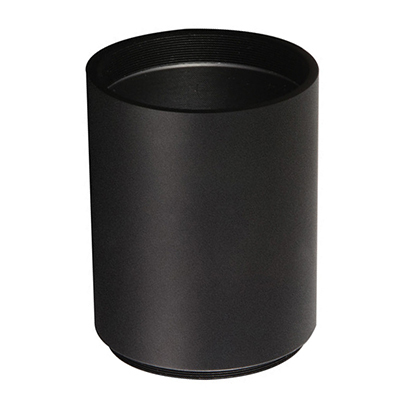 Make for a 94% light transmission to ensure optimal performance in low light. With larger, positive grip elevation, windage, parallax and illumination knobs, and nonstop diopter and magnification adjustment. 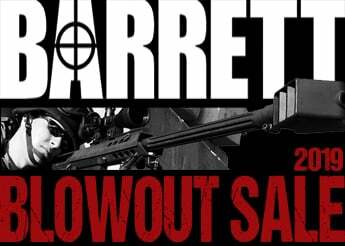 For more mounting and optimum performance with different rifles and added equipment. Durable condstruction you can trust to stand up to any cold or wet condition, waterproof to depths of 33 feet. Field of View: 1.43 yd - 1.56 yd. @ 100 yd. 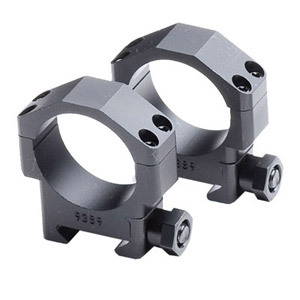 I have two of these scopes on my long range precision rifles and they are equipped with the MSR reticle, whether dialing or using the reticle to hold over, the tracking is always perfect and dead on. The glass is crystal clear and the edge to edge quality is super sharp even in low light conditions. I also own three Steiner T5XI scopes with zero problems. Nothing but a Steiner sits on top of my rifles. I have purchased this awesome scope and have it mounted on my Alexander Arms ULFBERHT .338 LAPUA MAGNUM. This scope is awesome at 1,000 yards! I am hitting the target with a radius of 12 inches at this distance using this scope. So I love the M5xi best scope I've on to date. Turrets are smooth glass is very clear from 5-25 but what do you expect from a 3+k scope. It's pretty durable expect the turrets they will get beat up also the coating chips pretty easy. I know most people baby there rifle but I don't. In real world use Steiner expects snipers to paint over the coating anyway. Hands down the best thing about the M5Xi is the warranty. The no question ask which I put to the test when I destroy my turret covers they sent me one out at no cost. Which I was expecting to purchase because it was not a manufacture defect.Guns fires 0.5 moa with m80 at 100 yards thanks Steiner. I bought this last week and the purchase was great my ownership hasn't been. The diopter is not focusing adequately and while the reticle focuses clearly at max magnification it doesn't stay focused upon zooming out to a lower magnification. Just bought and Love how clear the glass is. Couldn't tell the difference between nightforce ATAR except the price tag. I am impressed with the amazing clarity and tracking of this scope.It's ability to dependably return to the exact point of impact is astoundingI was so impressed with this scope. I now have two. Congratulations on building a quality zero stop scope. This is the first time i have purchased a Steiner product and it was worth every penny that my wife dosent know i spent on it. Quality is second to none. Durability is off the charts as i have this on a 338 Lapua Mag and it takes a beating and just keeps working flawlessly. 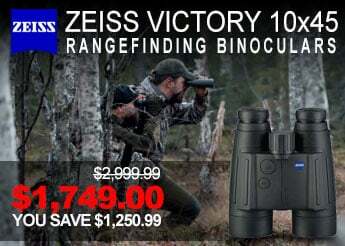 Optics quality is utterly amazing and once you figuer out how to use the ranging tools the only weak point is you. I am a believer. If you do not have one yet get one. the T5Xi riflescope is easy to operate, accurate, durable. I bought the T5Xi a few weeks ago for one of my .308s and needed something for a .50BMG I ordered. A rep from Stoeger Canada recommended I buy this one for it so I did. I haven't had time to try it out yet because I'm still waiting for the rifle to arrive, but from playing around with it so far, I like what I see. Nice clear glass, and I'm no expert but it feels on par with some other companies that cost at least $1000 CAD more.I know this is of little importance, but I was surprised that the packaging for this scope wasn't as nice as the T5Xi. The box for the T5Xi was nearly twice the size and came packed in a foam cut-out that was formed to the optic. For the M5Xi, it came with two foam rings in a much smaller box. Again, very little importance because it's the scope itself that's important, just a little surprised, that's all. I purchase my 5-25x56 MSR scope 2 years ago for my M21 Tactical rifle. The glass is simply amazing and the clarity of the optics is simply phenomenal. With so many features of a 34mm main tube, 56mm main objective, excellent eye relief, 1/10 mil adjustments, First Focal Plain, the MSR reticle is top notch. Low light performance surpass my expectations. The Illuminator is co-located on the parallax adjustment knob so there is no unsightly 4th knob which in my opinion gives the scope a more streamlined look. The whole thing is set up in the most user friendly manner and its intuitive on how to use. Seriously nothing negative to mention. I would say their customer service representatives are knowledgable, professional, and attentive to my questions and concerns. I am sold on the company and their products as a faithful customer. Recently purchased a t5xi and I have a few impressions.Mounting the scope normally requires leveling the rifle then the scope with bubbel level on the turret. The reticle was extreamly canted, not sure if that is by design. I leveled the reticle using leveled lines at a distance and a machinest level on the reciver.Kind of a disappointment was the light. The lack of an affirmative click alows the light to flicker kind of on kind of off.The scope is very capable and solid very solid and the glass is clear and is a joy to look through. The reticle is a great design and the light looks excellent. I was hesitant to buy a high priced scope when I could have gone with a sub 1000 dollar one but when it came down to the mission objective, learning to shoot long range and use turrets and hold overs properly, it was a clear choice as to what scope I needed to use. sure there are other similar products to the T5Xi 5-25x56 but ultimately Steiner offered more bang for the buck. The never lost turrets are a huge bonus. The only con about that is that when you need to lower your elevation you only get 3 clicks. a reverse mechanism would be neat to have so you can freely move up or down as necessary. though I know most shots are going to be at near level ground. I like that the reticle are in the first focal plane, allowing for the eye to easily adjust to see the reticle. The box the scope and accessories came in was very well thought through. Nice thick foam encasing the scope. The sun shield is very well constructed and screws on precisely with ease. The Tenebreax lens covers and switchview throw leaver being tossed into the bundle is a very nice bonus.Use the scope on the first day was about as simple as it comes. The turrets felt very nice and smooth. The glass felt near invisible and the magnification produced a very stable image. The scope is mounted on a Rem. 700 .338 Lapua. An older model rifle with a custom barrel. My primary objective is to hit a target at 1000 yards. I have purchased this unit few weeks ago and I am very satisfied with performance. This is my 2nd M5Xi 5-25 and it is a rock solid scope. With the MSR reticle, turret features, and crystal clear glass this scope has become my long range favorite. The Steiner Military scope is definately in par with SM PMII. It is built like a tank and perform perfectly on the tracking board. Lens is crystal clear. Great reticle. Turrets adjust very easy and quickly for running a series of target ranges. This scope will not be beat for the money. Very happy with the quality of glass. Top notch turret system. Summary:I tested 3 brand new Steiner T5Xi scopes, two of the 5-25's and one 3-15's. I tested for tracking accuracy, reticle alignment, and return to zero. With two very minor exceptions that will be detailed below, all three scopes performed perfectly.Introduction:I've been testing scopes for years now, ever since I got a bad one from another manufacturer. Over that time I've developed the jigs, test targets, and procedures to yield accurate testing. I decided to convert three rifles over to Steiner's new line so I could have the same reticle across the board. I had available to test a 3-15 I bought for an AR a few weeks ago, a 5-25 I bought for my bolt gun a few days ago, and a second 5-25 that a local shooter just purchased for a new rifle. The 3-15 had a couple hundred rounds on it. My 5-25 had been mounted and 25 rounds were fired. The second 5-25 was new in the box.Test Setup:I created a test target using my CNC Router. I set it up 50 yards from the test position, so each line represents 2 milrads at that distance. The test target is hung plumb. Plumb was checked with a Stabila carpenters level, and I turned the level in all four orientations to confirm that the level itself is accurate.The scope test jig is a section of picatinny rail mounted to an adjustable base. The first step in the procedure it to level the rail in both directions. I used a machinery level to accomplish this, and again turned the level in both orientations to rule out any error in the level itself.After mounting the scope to the jig I adjusted it for parallax. This posed a problem for both 5-25's as the minimum distance on the dial is 50 meters and I was testing at 50 yards. At the 50m setting, parallax appeared to be close, but not perfect. This forced me to be very careful about eye position during the tracking testing and is a potential source of error in the results.I loosened the rings and adjusted the scope so it was perfectly plumb. I did this by checking the travel of the erector. Once I had it so the reticle traveled directly up and down the line on the test target, I tightened the rings. That completes the test set up.Procedure:The first step of my procedure was to see if the reticle was plumb, or parallel to the erector travel. I did this by simply observing any deviation of the reticle from the test target. It was relatively easy to estimate the rise and the run of the angle using the reticle itself and then calculate the angle using simple trig.The second step was to check the reticle to see if it was accurate. Again, I completed this test by simply observing if the retilce matched up to the lines on the test target.The third step was to test tracking. I did this by looking through the scope and turning the dial until the reticle had moved down the target 2 milrads. I then looked at the dial to see how many milrads it indicated. I recorded the data every 2 mils until I ran out of travel or test target. I repeated this test 3 times on each scope, checking every two milrads. I checked both on the way up and the way down. At the end of each cycle, I confirmed that the scope returned to zero.Results:My personal 5-25 was tested first. I found my reticle to be canted about 0.6°. The reticle accuracy was perfect. Tracking was exactly on. Every time I looked up at the dial, I had moved it exactly 2 milrads. Because this scope had already been mounted and zeroed, I only had 16 milrads of travel so that's as far as I tested it.My friend's 5-25 was next. His reticle indicated that it was canted about half as much as mine. That's within the margin of error for my test set up, so I'm willing to call it perfect. When checked for tracking, it looked like it was 1/2 click off across the entire range. 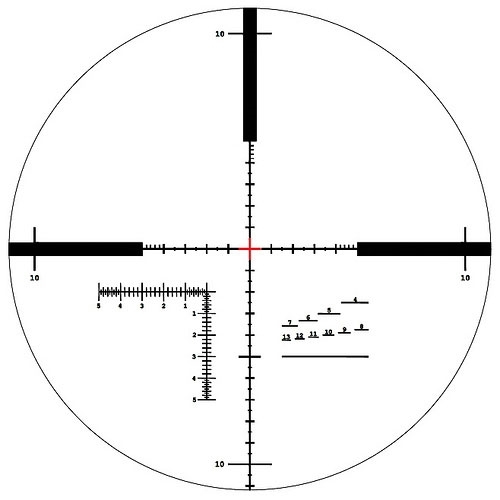 At 2 milrads indicated on the dial, the reticle was just short of the line. At 2.1 milrads indicated, it was just past the line. The "error" did not increase with increasing travel leading me to believe that it's something I was doing. I checked the initial position a number of times and it appeared to be right on the line, but the aforementioned parallax problem may be to blame. The apparent error was right on the border of what I think this test set-up is capable of detecting, so I'd be willing to call it perfect. To be perfectly clear, even at 18 milrads indicated, the apparent error was only 1/2 click or 0.05milrad.My personal 3-15 was last. The reticle was canted about 0.5°. Reticle accuracy was perfect as was tracking. It's interesting to note that this scope focuses down to 25 meters, so I was able to set paralax perfectly. This made a surprisingly noticeable difference in how easy it was to check tracking. I'm not convinced that the error I thought I detected on the second 5-25 was not just parallax error showing up in my measurements.Conclusions:The three examples that I tested are close to perfect. The only possible problems I saw were two reticles that were off by 1/2° and a possible tracking error that was more likely test error. In the event that it was real, it's also irrelevant. An error of 0.05 milrad in elevation across the entire travel is nothing that would concern me in the slightest. I own two of the scopes tested and have need of a third for my .22 trainer. I will not hesitate to buy my third. Having owned the previous generation of this scope I knew that this would be a great scope. 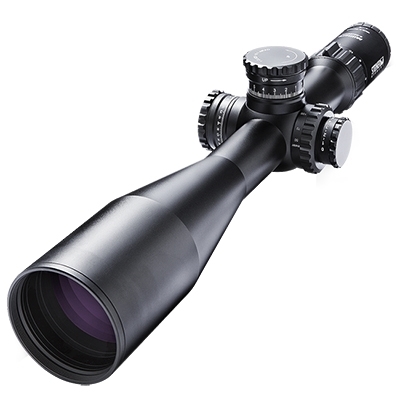 The scope offers a glass quality that is on par with other scopes that are 2 times the price. 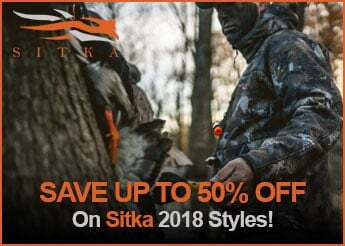 The compact design and lightweight are highly desirable for both hunters and competitors alike. 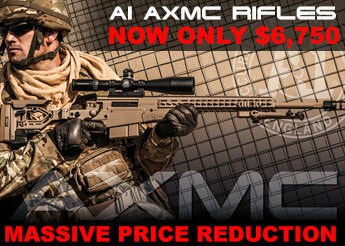 This scope is the best value on the market if you are looking for a high end tactical scope. I purchased the Steiner T5xi, not the M5. The T5Xi is the simply the best scope for the price on the market right now. No other scope on the market can match the features found on this scope at the current market price. 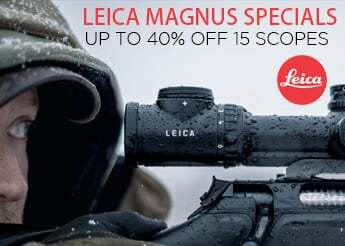 Features such as: a 34mm tube, 5-25 magnification range, and a front focal plane have previously only been featured in the $2500+ scope market. To bring this along with a new SCR reticle and built in tenebraex adapters pushes this scope past its $3000 competitors. I did my research for months because this was going to be a huge investment for me. It paid off. I have one of the finest top scopes in the world. Take the plunge and step up and you will not be able to fault this scope or regret this purchase. From 50yrd to a 1000yrd is your riffle up to the challenge? I purchased the Steiner M5Xi last summer for a custom rifle I was in the process of having built. When I finally got it mounted on the rifle my expectations were very high. The rifle is an extremely accurate 6mm Creedmoore. On test firing I was impressed with the clarity and field of view of the new scope. The ease of adjustment is also a virtue I am quite proud of.I feel quite comfortable taking 600 yard shots with this combo. I definitely will be looking at another M5Xi in the near future. I purchased the M5xi 5-25x56 with MSR reticle about a month ago and mounted it on a M24 in 7.62. Just got out to 1000 yard range this week and spend 4 days checking out all features at the various ranges. Amazing. The center cross and step ranging stadiometer features where both spot on at all distances that they are suppose to measure. A firing solution could be determined in a matter of seconds if need be. Simply amazing. I have couple Nightforce and a Burris rifle scopes. This M5X1 5-25x56 is my 1st Steiner product. Am aware of their great military binos, wanted some European glass, and liked the way Steiner sets up their military scopes. Haven't mounted it yet, as the rifle will be delivered in 4 days. 1st impression was that this is a big scope. My NF ATACR 5-25x56 F1 is like 3" shorter - or the same length with it's sun screen. The Steiner's turrets feel very secure, turning the big/grippy turrets feels snug, without being too stuff, each tiny click seems to stand on it's own. The turret values are easy to read, and setting zero looks pretty simple. Some BC lens covers are included too. The turrets both turn in the 'right' direction, but I notice the power ring turns to the right to increase power, and that's different .. a small thing though... Haven't yet spent any significant time looking through this glass, be 1st looks seems very bright and clear. Yeah, think we're gonna like this scope - It's a keeper! !